60% of marketers create at least one piece of content per day. Are you a part of the crowd, yet? While you want to be a leader most of the time, you can’t fall behind on trends in business. Proper content marketing drives organic traffic to your website and converts them into leads. This in turn makes your company more revenue. Sounds good, right? Today I’m going to show you some of the leading content marketing trends, so you can be ahead of the competition. I remember back when I first starting writing content, I sucked. We all did at one time. The one big mistake I continued to make however was that my word count was always really low. Nothing transformed the quality of my content and its performance in the SERPs than increasing word count with valuable information. Backlinko did a study in which they analyzed over 1 million results on Google. Guess what they found. … That the average first result was approximately 1,890 words long. Long form content is more useful, packs more value, and is going to please both the search engines and readers. Moving into 2019 and beyond, you must make this a part of your content marketing strategy. More competitive search terms will require even higher word counts. I’m talking 3,000, 4,000, and beyond. This isn’t uncommon for pillar articles. 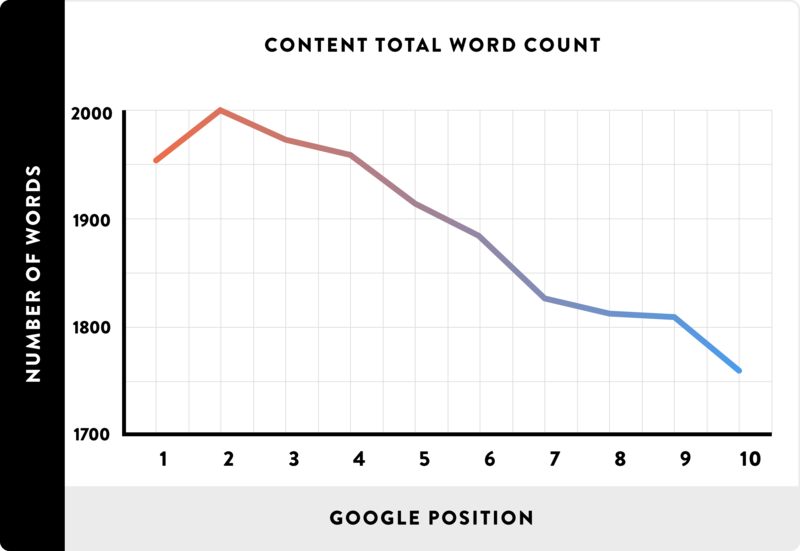 The more words you write, the more secondary keywords and variations you will rank for, as well. It takes time. Sure. But, plan out you articles ahead of time and you’ll flow through it effortlessly. Look at IBM’s developer guides. This is the perfect example of useful long form content that educates users. Topics include artificial intelligence, blockchain, analytics, and more. It’s geared to a very specific buyers persona, too — developers who are using these various software and technology. If there is one trend that will influence your content curation, it’s voice search. How many people have you seen searching Google from their phone? It’s becoming a lot more common than you might think. Heck, did you know that 30% of all searches will be completed without a screen by 2020? This means that you’re going to have to approach your keyword research process a bit differently. It’s easy to grab some search phrases and integrate them into content. However, many keywords aren’t aligned with how a user would naturally ask into their phone. 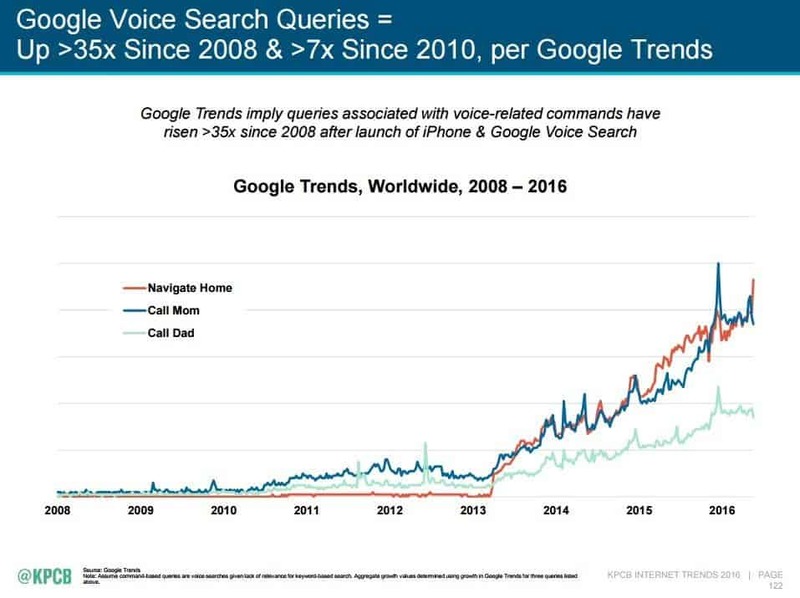 It’s been found that voice searches have increased 35x since 2008, furthermore. This trend isn’t new by any means, but we’re in the heart of the storm right now, and it’s only going to increase. This is why I highly recommend that you use the free tool Answer The Public. I’ve mentioned it in many articles because it’s so great. There is a paid option, however it is not necessary. What makes Answer The Public different compared to other research tools is that it compiles prepositions, questions, and alphabetical ideas. Use the questions section as inspiration for natural long tail keywords. These are exactly what people will be asking into their phones. With long form content and voice search out of the way, let’s move onto another very important content curation trend. You produce a piece of content, wipe your brow, and keep up your feet. Not so quick, buddy. You still have to repurpose that content in to different formats. Repurposing is easily one of the best content marketing tactics. It’s time efficient and maximizes your work load. You take one piece of content. A blog post per-se. Then, you turn it into a video, podcast and other things like an infographic. 78% of people are watching videos on a weekly basis. I’m one of them! I love YouTube and video content in general. If you start with a blog post, you should turn it into a video for YouTube, Vimeo, and other similar platforms. One of the simplest was to do so is with a screencast. This is a narrated slideshow. You simply create a slideshow on Google Drive for example, and simply record your voice over it. I like using the free recording software OBS. If you go down this route, head over to Slides Carnival and pick up a free high quality theme while you’re at it. Go through the different categories to find one that suits the video topic. For example, “Startup,” “Business,” and “Formal” are great for entrepreneurship related content, while “Creative” might be better for design oriented ideas. I’m a huge podcast fan. I tune into Joe Rogan religiously, among other lifestyle and marketing ones. It’s not just me, though. 50% of households are regular podcast listeners. This is why it’s crucial that you implement audio format into your content strategy. Creating a podcast is even easier than writing a blog post or producing a video. All you need is a mic. That’s it. You hit the record button, drop some knowledge bombs, and you’re good to go. If you’re on Windows, open up Sound Recorder and hit the red button. If you started out with a video or podcast, you would then want to turn that into a written piece of content. Compounding blog posts also generate 38% more traffic, meaning you’ll want to keep it regular part of your content marketing plan to publish written articles. As you learned earlier, ensure that you aim for a high word count and use natural keywords. I would highly suggest using a CMS like WordPress to write your blog posts. Look at this data Elegant Themes found. Most people on WordPress only use the CMS portion, with fewer people using it for hybrid reasons. It’s an all-around great platform to write content, sell products, and grow your business. Give it a try for free today. Once you’ve written your content and repurposed it, you need to get it in front of people. Yes, search engines will take care of that, but I’m talking about immediate traffic and traction. Here’s how. You’re already on social media, but are you using it correctly? I’m sure you already know about sharing content and using relevant hashtags. That’s baby stuff. What you need to be doing is sharing content in groups. Specifically Facebook and Linkedin groups. These are giant communities of people that are itching to consume your content. Simply type an industry phrase into the search bar on Facebook and filter it by grops. Apply to join as many as you can. Become active by liking and commenting on other member’s posts. Then, share content you make as you publish it. Respond to and feedback you get, and slowly you will be a respected person in each group. Imagine if you posted your content to groups that had 100,000+ people. The traffic could be ridiculous! This will take you to a page where it displays all of the groups you’re apart of, and you can find more through the search bar. Some of them have hundreds of thousands of active members. Use these as a way to drive massive traffic to your sites, and for networking purposes. I’ve had people connect with me after I shared a post because they enjoyed it so much and wanted to know me further. Social media content marketing needs to be on your checklist from now on because of this. For those that said “No,” you’re a big dummy. You’re missing out on serious traffic and relationship building with subscribers. 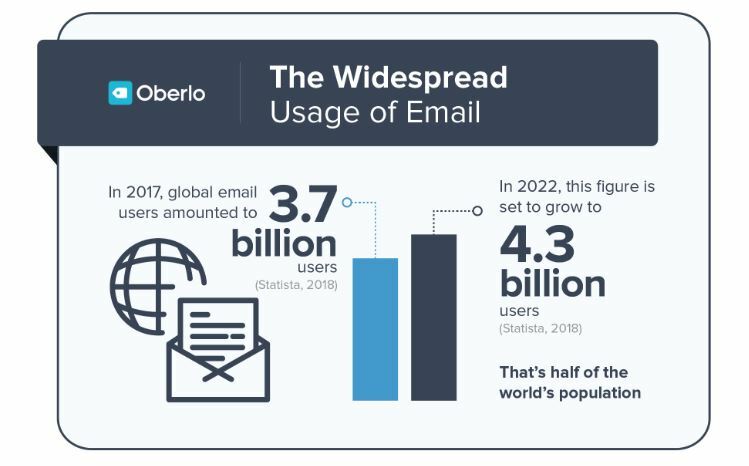 Email marketing remains as one of the most effective marketing channels, and it’s estimated there will be 4.3 billion email users by 2022. Building an email list is easier than ever, too. All you need is free software like Mailchimp to begin. You create a list, add an opt-in on your website, and the job is done! It’s wise to offer a lead magnet, such as cheatsheets, a free e-book, or other special offer to entice signups. Use email marketing as a way to distribute your content every time you publish it. This brings me to the next trend. You produce the content, repurpose, and distribute it. What’s next? Measuring your content marketing campaigns. Otherwise you won’t know what’s working and what isn’t. Here’s how to do so. How much did it cost to produce content? The first step to measuring the effectiveness of your content is by determining how much you paid for it. Did you outsource freelance writers? Did you pay a professional studio to record a podcast? Which services and software did you use? Did you buy an email list to distribute it? Good content generates results — sales, leads, and other business opportunities. If you spent $2,000 on a content marketing campaign and it generated you $10,000 worth of client work, that’s a 5x return! Or perhaps your goal was backlinks. In that case, use a tool like SEMrush to track how many new links are being pointed to specific articles. Content marketing is the future. There’s a reason that some of the world’s biggest companies are using it, and you need to hop on the bandwagon. But, you have to stay up to date on trends, too. The first of which is long form content. No more 500 blog posts. You need to write beasts of articles. 2,000 words is a nice goal to aim for, but don’t be afraid to go much higher in competitive environments. Secondly, voice search is in. People are speaking directly into their phones, so you need to use keywords that align with that. Answer The Public is a great tool, but any major keyword research software should be able to do the same thing. Next is repurposing. Take your content and turn it into different formats. For example, if you start with a written article, transform it into a video and podcast. Similarly, you need to start creating a content distribution strategy. Social media groups and email marketing lists are great places to begin. Lastly, you need to begin measuring the effectiveness of your campaigns. How many leads, sales, or backlinks is it bringing in? The exact metrics you analyze will depend on your individual business and campaign. What’s a trend you’re watching out for in the content marketing space? Contact me if you require content writing services to help grow your traffic, leads, and revenue. 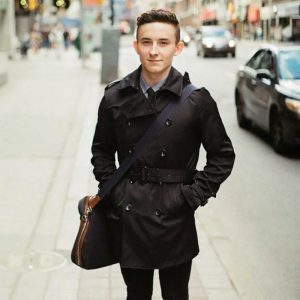 Carmine Mastropierro is a freelance writer for hire from Ontario, Canada. He has written for Neil Patel, GQ Magazine, Forbes, and other publications.